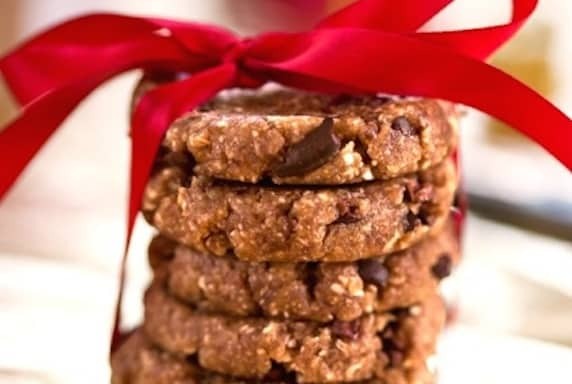 These cookies taste every bit as sweet and indulgent as a cookie should, but they’re surprisingly nutritious. Walnuts contribute healthy omega-3 fatty acids, while coconut lends its anti-inflammatory properties and cacao nibs give the cookies a little antioxidant boost. Whether for benefits or for the taste, I enjoy these cookies both as midday snacks and as dessert. From Choosing Raw: Making Raw Foods Part of the Way You Eat by Gena Hamshaw. Reprinted with permission from Da Capo Lifelong, © 2014. Photos by Hannah Kaminsky. 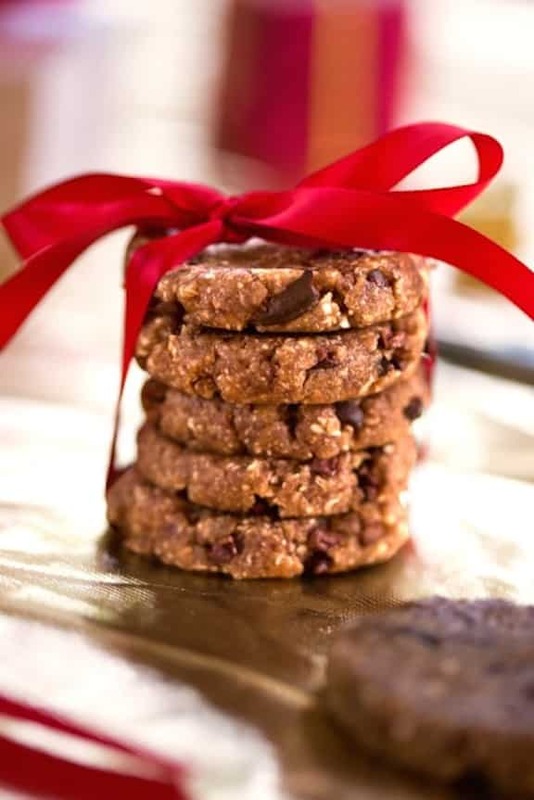 These cookies taste every bit as sweet and indulgent as a cookie should, but they're surprisingly nutritious. Place the walnuts, dates, coconut, and coconut oil in a food processor fitted with the “S” blade. Process for just under a minute, or until the mixture is starting to stick together. Add the agave nectar and cinnamon. Process quickly (about 10 seconds) to combine. Pulse in the cacao nibs. Roll into 1-inch balls and press down into flat, round cookies. Store in the fridge until ready to use. Stored in an airtight container in the fridge, the cookies will keep for at least 2 weeks. yum.. these cookies look totally delicious, love how guilt free they are as well. perfect for when my afternoon sugar cravings hit! Looks good, but I’d omit the extra sweetener. Dates are sweet enough on their own, Maple is too glycemic, and agave is too processed. Going to try soon!